Trust is based on relationship, if what we have been taught about someone is wrong, and skewed, it can cause dis-trust. Knowing how much we are loved without condition, it is this environment that encourages trust. 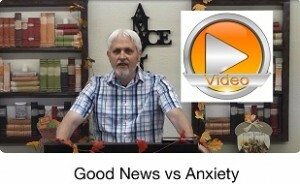 Pro 12:25 Anxiety in the heart of man causes depression, But a good word makes it glad. Psa 27:13 I would have lost heart, unless I had believed That I would see the goodness of the LORD In the land of the living.